Dogs can't add and Cat's can't subtract but they can sure MULTIPLY. An unspayed female dog, her mate and all their puppies, if none are spayed or neutered, can add up to over 125 animals within a 2 year period. 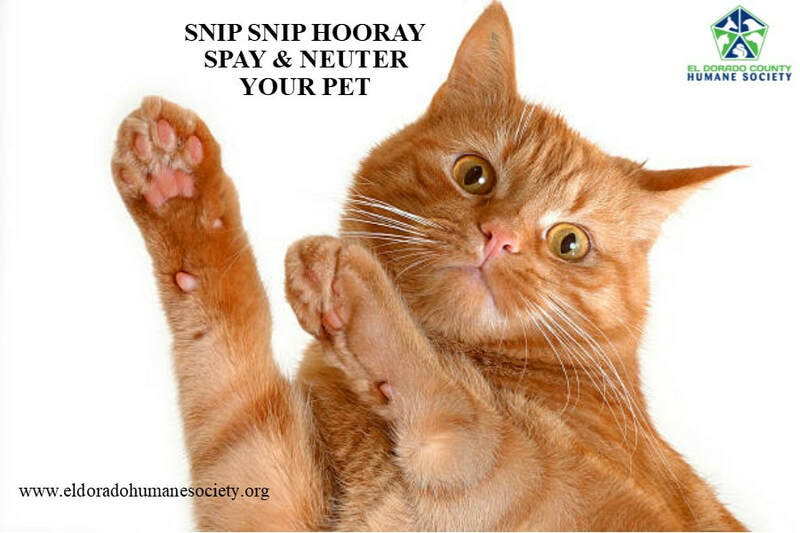 Pet's who are spayed / neutered tend to live longer, healthier lives. Request your coupon below. 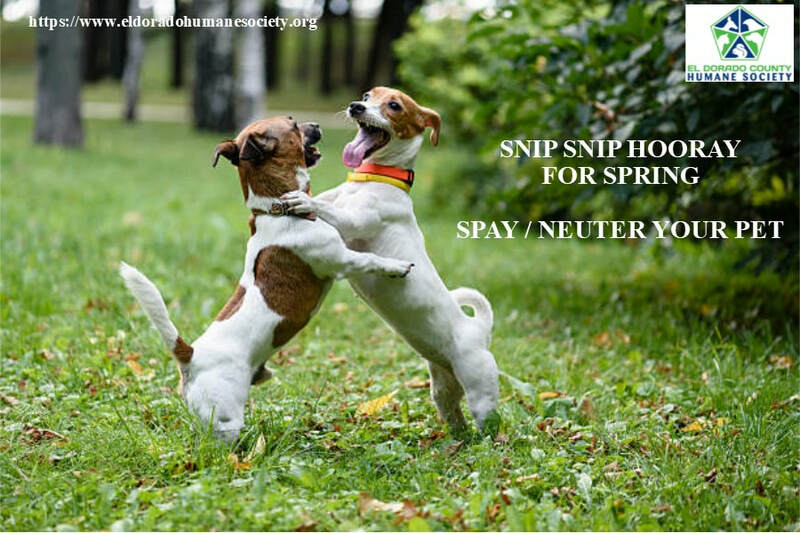 El Dorado County Humane Society provides a coupon off the fee to spay / neuter your pet in El Dorado County.